In this paper, an enhanced quantum-based neural network learning algorithm (EQNN-S) which constructs a neural network architecture using the quantum computing concept is proposed for signature verification. The quantum computing concept is used to decide the connection weights and threshold of neurons. A boundary threshold parameter is introduced to optimally determine the neuron threshold. This parameter uses min, max function to decide threshold, which assists efficient learning. A manually prepared signature dataset is used to test the performance of the proposed algorithm. To uniquely identify the signature, several novel features are selected such as the number of loops present in the signature, the boundary calculation, the number of vertical and horizontal dense patches, and the angle measurement. A total of 45 features are extracted from each signature. 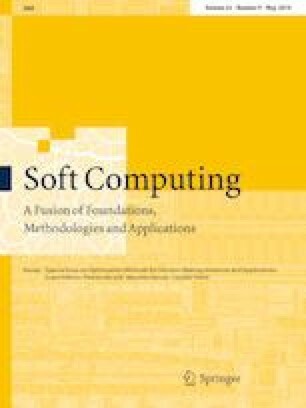 The performance of the proposed algorithm is evaluated by rigorous training and testing with these signatures using partitions of 60–40 and 70–30%, and a tenfold cross-validation. To compare the results derived from the proposed quantum neural network, the same dataset is tested on support vector machine, multilayer perceptron, back propagation neural network, and Naive Bayes. The performance of the proposed algorithm is found better when compared with the above methods, and the results verify the effectiveness of the proposed algorithm.